This guide covers TOP-5 best pizza makers, how they work and what types are there. You will learn the difference between dome, gas, rotating and convection ovens and what things you should consider before buying a product. Find out which models are recommended for barbecues and picnics and which ones are gaining popularity among homeowners. Take a look at a FAQ section and the product comparison chart to pick up the option that is right for you. Gooey, cheesy pizza with an endless array of delicious toppings is by far one of the most delectable comfort foods. This meal is a thing of limitless potential. It can mean Chicago deep dish, a crispy New York thin crust, or a classic Italian flatbread, involving ingredients as assorted as anchovies, pineapples, or pepperoni (but maybe not in the same slice!) And what better way to enjoy this diverse meal than to make your own creation at home. These devices allow you to do just that. How does a pizza maker work? What are the types of pizza makers? These devices give you the ability to cook brick and commercial oven style pizzas without needing a brick or commercial oven. They can be gas powered or electric and some work indoors while other styles are meant to work outdoors like a grill. It works by heating the toppings of the pizza evenly with the bottom crust of the pizza. The difference between using these devices and cooking your pizza on a stone in the oven is the ability for the former to heat up to a much higher temperature than conventional ovens. Because of this your pizzas will be able to cook faster and more evenly. This is done through various methods depending on the type of the device you are working with. What Are the Types of Pizza Cookers? There are four main types of these devices which all cook pizza similarly and evenly, in that they cook the toppings at the same time as browning the crust. This way the toppings do not burn before the crust is cooked and the crust is not raw underneath the toppings. But each type has their own unique methods for cooking pizzas. The four types are dome, gas, rotating oven and convection. These are among the most popular style of pizza oven. Dome ovens are circular arches rising up to the top in the middle of the oven. The base of the oven circulates air throughout the insides which allows the item to heat evenly without any cold spots. The curve of the dome makes it so that heat stays evenly in the dome and reflects the heat from the top for an even cooking of the surface of the pizza. Gas ovens have been around since the 19th century in Britain. These types of ovens generate heat with gas-fueled burners, and the gas is turned on manually from the source for most portable models, and an electric ignitor is used to heat up the oven. This style of oven can also implement a dome-style to help with even cooking, and many gas ovens also include a pizza stone to ensure excellently cooked pizza crust every time. This option is a convenient and portable version of a conveyer style pizza oven from a commercial pizza place. It work by utilizing small dual heating elements on the top and bottom of a standing device. A rotating circular tray is placed between the heating elements and the item is rotated between the heat for the desired amount of time. Many devices allow you to separately operate the top and bottom heating elements which allow for foods other than pizza to be cooked on the rotating oven. Convection is the circulation of air that is created naturally by temperature differences in the oven. The fire inside the oven pulls air in through a front opening, heats it, and exhausts hot air through a vent in the top of the oven. This airflow moves warm moist air across the pizza which keeps the crust and ingredients from drying out while cooking the entire item evenly. Convection ovens typically cook food faster as the air circulating transfers heat throughout the entire capacity of the oven. You want to be entirely sure that the unit will fit comfortably into your kitchen without taking up too much valuable counter or cupboard space. If you intend to keep it out on the counter, you may want to consider a smaller device unless you plan to use your pizza maker as a regular cooking device. Many models can serve as multi-use machines which may help in your decision-making process. Depending on how you plan to use the device you will want to decide whether or not a gas or electric option will better suit your needs. Residential models tend to be portable and, as a result, require a separate refillable or replaceable gas tank to be bought separately and attached to the device. Because of this many people tend to buy gas-powered models for use in outdoor settings like barbecues and picnics, though it would not be a good idea to leave your gas pizza cookers outdoors all the time. If you plan to get this option, be sure that you have room in a garage or storage shed to keep the device when not in use. Electric devices can be used outdoors in certain situations but are generally recommended for indoor use. Your electric pizza making machine will require a power source and would best be used on a countertop or table. Another important factor to consider is the design of your pizza maker and the materials used to make it. A common mistake among first-time buyers is to assume that the most expensive model will automatically be the best. It is true that quality can directly be related to expense, it is not necessarily true that expense guarantees quality. Consider whether you want an open design like a rotating pizza cooker or a closed in design like a dome or gas maker. Close designed devices can be made of materials ranging from terra cotta, cement, or steel, and the materials can make a difference in the quality of pizza cooked. 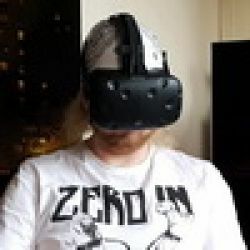 Personal preference always comes into play here, but it is also helpful to read customer reviews of various types of these devices to help you come to your final decision. Pizza makers can vary wildly in their cost from thirty dollars to hundreds of dollars. Obviously the more features the device includes the more the price will go up. It is a good idea to establish a budget ahead of time to avoid overspending on a product that may disappoint you. If you are just starting out in your homemade pizza making journey it is a good idea to start low with a budget-friendly option to test the waters. If you end up being happy with the results you can move to more expensive devices to really fine-tune your cooking skills. This review features TOP-5 products at a price ranging from $30 to $200. Some of them are designed for barbecues and other outdoor events while others are perfect for using in the kitchen. Below, you will find simple and easy-to-use models, professional style options as well as rotating units that have been gaining popularity in recent years. This is among the most affordable models currently on the market. You can easily make a 12" pizza frozen or from scratch in no time, and it will have a deliciously crispy crust every time. This pizza maker's easy to clean, open and close design allows you to make much more than just pizza as well. From quesadillas and omelets to cinnamon buns and party mix, this versatile device makes cooking a variety of things easy. This portable outdoor device is perfect for traveling to many events. Because it is fueled by propane, it does not require any electricity and you can have oven baked pizza anywhere at any time. This device is great for barbecues, camping, and tailgating. The dome-like design preheats in just 15 minutes and the interior pizza stone ensures that your pizza will be cooked evenly and with a perfect crust every time. The electric heating element of this model preheats in just five minutes, allowing you to cook your pizza evenly in no time flat. The terracotta dome resembles traditional pizza ovens, and the device includes a top and bottom heating element so you can be sure that your pizza will cook evenly every time. The cook time for your pizzas will be around 5-10 minutes and the removable cooking sheet makes the device easy to keep clean. One of the more aesthetically pleasing pizza makers is the Presto Pizza’s rotating oven. This small device includes top and bottom heating elements to cook your pizza evenly throughout, and you can switch to either top, bottom or both of the heating elements for cooking other food items as well. This model also includes a timer dial, so you can set it ahead of time and be sure that your pizza will not over or under cook while you are doing other things. This pizza oven has two heat settings which can reach up to 450 degrees. The heating elements combined with the stainless-steel design give this model an industrial feel. The 13" opening allows you to make bigger pizzas and there is a separate removable tray on the bottom to clean out any crumbs or melted toppings. The large opening on this device allows you to cook a variety of items as well, including hot dogs, sandwiches, and pretzels among other things. Which pizza maker is the best? Whether you are concerned about cost, size, indoor/outdoor use, or style, the best model is going to be a matter of personal preference. In recent years though, rotating pizza makers like the Presto 03430 Pizzazz Plus Rotating Oven have been gaining popularity. Which one is best for outdoor use? Because it runs on propane and does not require any electricity, the Pizzacraft PizzaQue PC6500 is best for use in nearly any outdoor setting. What is a professional pizza making machine? Industrial pizza makers are large machines that rarely fit into a residential household. If you are looking for a professional-style option with a commercial feel, the Wisco 425C-001 is your best option. Most devices have removable bottom trays to clean off any melted toppings or crust crumbs. It is a good idea to clean off the unit with a damp cloth after every use. Some models include parts that can be put into the dishwasher, though many do not. It is important to check the product's manual for specific directions on how to clean your device. How to make a pizza cooker? It is possible to make your own, fire powered outdoor pizza oven if you have the interest. Be warned though, there is a lot of advanced construction required here, so be sure to do plenty of research before building your own. Pizza is enjoyed all over the world in many different forms and it doesn't have to be difficult to make it for yourself at home. 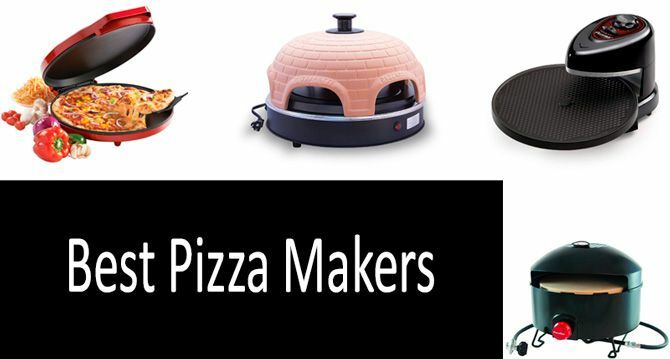 These easily portable devices come in a variety of shapes, sizes and power and are designed to make homemade pizza easy and fun. Whether your goal is to heat up a frozen pizza or to start from scratch with homemade dough, these devices come in a variety of designs, so you can be sure you are getting the right machine for your needs. I bough I pizzadome about two years ago ( I have never used it) and I lost the instructions and the recipe book. Is there any way I can get that information? Please, help!!! I got one of these and they are great. It's a lot of fun for getting some people together. Better than fondue because you have no fumes or nasty clean up. Everybody loved it at my last dinner party. coolnew gadget.fondue was getting a little boring. nice idea to have your guests do the work. No cooking for the host :) (me inthsi case) and everybody just sits around the table for more than just a couple of minutes. Good idea to entertain! had a blast with this new item. A friend bought one so I had to get one too. Easy to set up, Just follow the easy intructions and you are ready to have a blast! Wow! what a great way to entertain friends and family. We had two couples over and before you knew it the night was over. Great way to entertain with out blowing the budget. It is a lot of fun. Beats fondue! Saw it on the daily buzz on TV.. that is a pretty neat thing. Tried it and it is a lot of fun. Took me 2 tries to come up with the best dough and so on, but was worth it. what a great invention. Not only does the pizzadome create great tasting pizza, at our last party we made individual apple pies and the kids made smores calzones. This product kills the fondue or chocolate fountain. My wife and I used the Pizzadome to entertain two other couples the other night. We sat around the dinner table making pizzas and enjoying a glass of wine. Before we knew it two hours had past. What a great evening. Had some family gatherings with the Pizza Dome and it is a great gadget to have around. Kids and wife loves it. couldn't agree more with Nancy. It is probably the best party gadget that I have ever used. Just had a party with our pizza dome for new year and it was a hit! great pizza and it is really something new.. not like all the other party appliances that are more or less the same. My kids love it. We have PizzaDome party every Friday now instead of Fondue or Raclette. Tastes great and kids can be creative... Desserts are nice too. But Pizza tastes great. enjoy! I ordered one a couple of weeks ago and we had a party after X-Mas with our family and it was a blast. Definetely better than Fondue. Everybody made their own pizzas and the dessert ideas were excellent... especially the marshmellow chocolate calzone.. I found it online about a month ago and ordered one for my wife. We had PizzaDome parties every Friday now with the kids and it seems it will be a new family tradition instead of ordering pizza. Now my kids (7 & 11) can make their own.